You are currently browsing the tag archive for the ‘Blood orange’ tag. Blood oranges, crimson and delightful, are quickly becoming my favorite citrus. Unlike their gory name, they are lovely, tart and sweet. 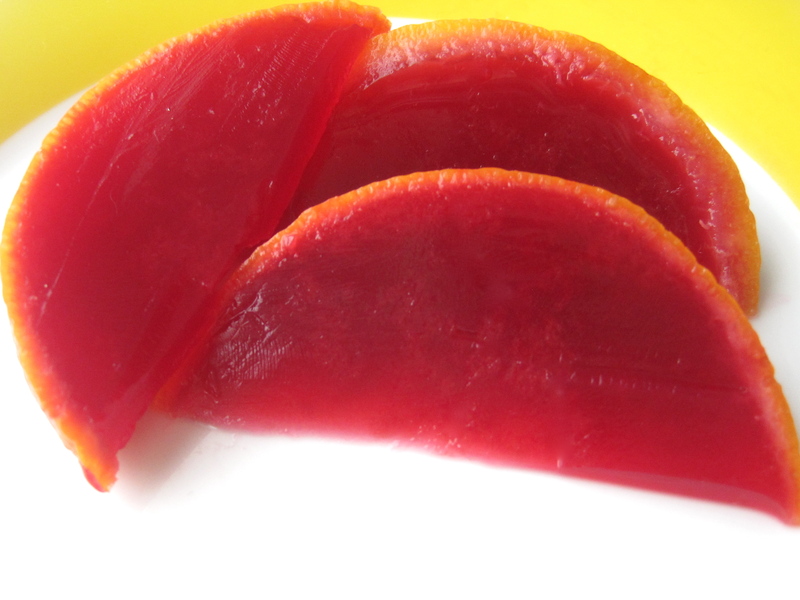 With a vibrant color and distinct flavor, they are perfect for gelatin molds – or in this case, agar agar set in orange peels. The blood orange agar agar seen here is inspired by this Blood Orange Jelly Smiles recipe from the fantastic website, The Kitchn. I changed the recipe by substituting agar agar for gelatin. These are surprisingly easy to make and fun to eat! If you’re interested in agar agar, checkout my other agar agar posts: Blackberry and Tea, Hibiscus Mint, Gelatin Tips and Tricks. 6-8 small blood oranges, fewer if large – see these instructions on preparing orange peels for molds. 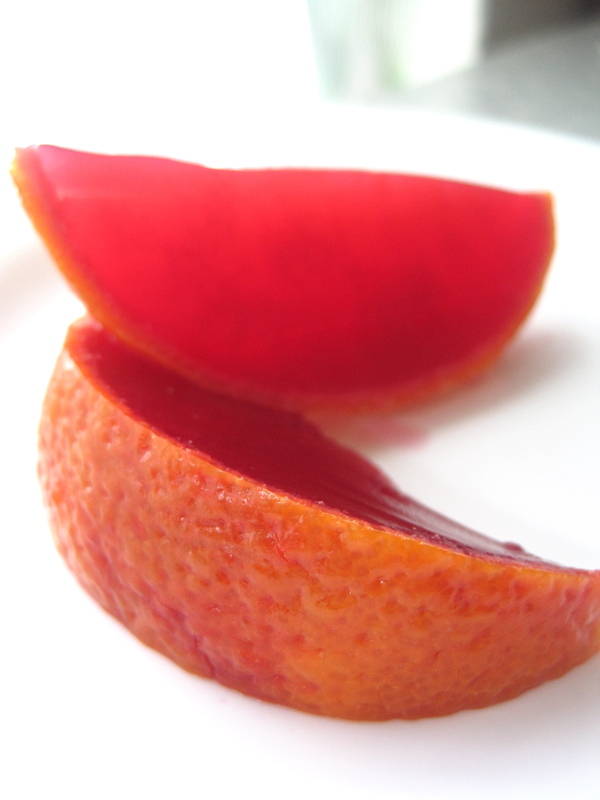 In a small saucepan over medium heat, combine blood orange juice, water, sugar, and agar agar. Bring to a boil, and continue boiling for 15-minutes. Pour into halved orange peels – see these instructions on using orange peels as molds. Enjoy!